They're here again... the holidaazzze! Halloween is over, which means I can really get going without everyone shaking their head. I freaking love Christmas. Thanks to my Etsy shop, I actually had an excuse to get started early this year. I've been making Christmas ornaments and Christmas cards since September! Anyway, my wishlist is steadily growing, but I've decided to limit myself to 5, okay maybe 6, top picks. Don't want to sound too 'gimme gimme', right? 1. Yes Please by Amy Poehler. I'll probably just go buy this for myself. I really love books by funny ladies. It's my favorite genre. 2. Black Arrowhead Clutch from Such Sweet Tierney. 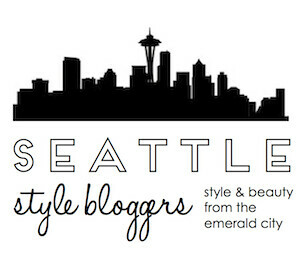 This clutch, and everything else on the site, is made right here in Seattle. By my former boss, actually. Pretty awesome, right? I've been drooling over her stuff ever since she abandoned us at Paper Source to pursue her dream. 3. Madewell Malachite Studs. I really love malachite. 4. Birthstone Notecards. Have I ever told you how much I love rocks and gems and stuff? Yeah, that obsession is still going strong. This pick also feeds my paper obsession. 5. Pom Pom Beanie from White Lodge Knitwear. This hat is so cute it's stupid. 6. Ineke Deluxe Sample Collection. I got a sample of Ineke's Edged in Gold from a small shop in Fremont a couple years ago and just ran out. I think I want a whole bottle (it's so complex, so "opulent"), but I may get this set so I can try the other scents in the collection, too!